Start reading Muhammad on your Kindle in under a minute. 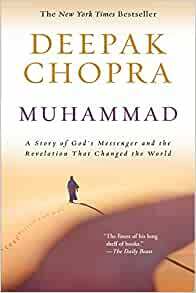 In this riveting novel, beloved international bestselling author Deepak Chopra captures the spellbinding life story of the great and often misunderstood Prophet. I picked up this book mostly out of the curiosity to understand a culture about which you hear so much but never seem to get many details. For me, Islam, like Arabia in those times, has been ever shrouded in mystery, and with the association or stigma sometimes applied to the entire culture and faith due to 'current events' it is difficult to express an interest without quickly being rushed to judgement. The format of the book is good, in that its told from various perspectives of people in the prophet's life, which the author explains in the introduction the reasons for having done so - it works splendidly. In the end we are left with a novel in which Muhammad is certainly the protagonist, yet the reader can approve or disapprove of the choices he makes. He isn't presented as a hero, as such. Enough historical content is there to satisfy my quest to know how Islam came about but mixed with enough storytelling to provide an interesting fictional work. 4.0 out of 5 starsFacinating read. 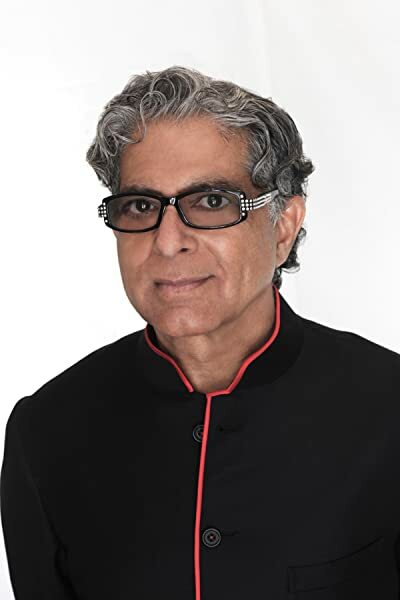 Once again great stoty telling from Deepak Chopra. Have now read Jesus and Budda and all three seem to let you in on their unknown stories. Great stuff. Written as a fictional novel this begins with one hundred pages of imagined first person encounters with the pre-prophet Muhammad which includes him getting married, sharing the texture and background of the time/location. He is visited by an angel who shares god's word. He shares what he has learned and is forced out of town. He is accepted into another location but soon they tire of his position and aspire to get him out. he calls them traitors and asks a passer by what he should do because after all he is a prophet. The answer is thumbs down so blades get wet. He eventually takes over his home town. The author concludes with some rational comments. Occasional insight. I found this book hard to read at first, I picked it up at my local library because I thought it was a factual book but I was a bit taken back that Deepak Chopra was trying to portray the feelings of the Prophet Mohammad (PBUH) and others of that time in a narrative form and some of the things that were mentioned... well I suspect they were embellishments. The book is written in chapters, each chapter is from the perspective of a different person in the Prophet's(PBUH) life, some people were family, some where supporters or enemies. Further in to the book I did start to enjoy reading different peoples perspectives but again I don't know how true these accounts were. Despite this, I did feel this book offers a different perspective and a gives you a more 3d story. There is only one valid biography of Muhammad and Islam, by Ibn Ishaq, whose remarkable original history was censored by Ibn Hisham. The English translation is The Life of Muhammad by Guillaume. Tabari recorded the uncensored Ishaq text his History. Read them both, with the relevant Hadith, traditional stories by Bukhari and Muslim. Guillaume made the fatal mistake of using the title God for Allah. Allah is not God. In Arabic, the Qur'an and Sharia, Almighty God is Ilah and Allah is ‘the god’ in English. Almighty God is Ilah, Ar Rahman, the Beneficent, the Most Merciful, the Most Gracious. Therefore the Qur’an was named The Criterion, the criterion between good and evil. Qur’an 41:84 It is He Who is the only God in the heaven and the only God on the earth. Ibn Kathir: This means He is the God of those who are in the heaven and the God of those on earth. Qur’an 43:84 It is He Who is Ilah, God in the heaven and on the earth. Qur’an 19:65 Lord of the heavens and the earth and all that is between them, so worship Him and abide patiently in His worship. Do you know of any other with His Name? See Quran chapters 19, 21, 25, 26, 36, 37, 41, 43, 67, etc. Allah is always and only called Allah in Arabic. Qur’an 6:3 And He is Allah in the heavens and on the earth. Ibn Abbas: He is the One who is called Allah in the heavens and on the earth. The Qur'an states that the religion of Allah abrogates the religion of Abraham. La ilaha ill-Allah, there is no God/god but Allah. The sentence comprises a denial and an affirmation. Negation: 'La ilah' negates all forms of God or god. Affirmation: 'illAllah' affirms that there is only Allah. Before you can say ‘I believe in Allah’(illa Allah) you have to reject or disbelieve in any other god or God (La illaha).